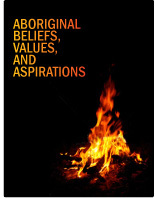 Aboriginal Beliefs, Values, and Aspirations is the 2011 student textbook written for the Ontario Ministry of Education's Native Studies Grade 11 course (NBV3C). 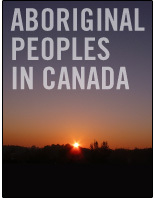 Co-published by Pearson Education Canada and GoodMinds.com, this student text utilized a collaborative process involving First Nations, Inuit, Métis and non-Aboriginal teachers, cultural consultants, advisors, language consultants, artists, editors, and writers. Authors include Barbara Filion, Neal McLeod, Suzanne Methot, Shay-Lea O'Brien, and Tanya Senk. The result is a 342-page student Native Studies book that is informative, respectful, and engaging in its format and content. The 9 chapters are organized into 4 key units: Spirit of the Land; Diverse Identities; Sovereignty and Self-Determination, and Relience, Renewal, and Rejuvenation. Each chapter contains Features such as Voices of the Peoples; Words Matter; Thinking It Through; Reflection boxes; Community Close-up Case Studies; Building Your Skills; and Web Connects. Specific topics include Worldviews, Teaching Rocks, the land is sacred, hunting and fishing rights, Indigenous identities, stereotypes, lacrosse, families and communities, leadership, governance, we are all treaty people, Ipperwash, urban issues, education and languages. Numerous colour photographs, maps, charts assist students in their learning about the beliefs, values, and aspirations of Aboriginal Peoples in Canada past, present and future. Numerous colour photographs, maps, charts assist students in their learning about the cultures and beliefs of First Nations, Inuit, and Métis peoples in Canada. The text includes a helpful glossary of terms, pronunciation guide, index, and opening and closing prayers, greetings and farewells in several Indigenous languages.